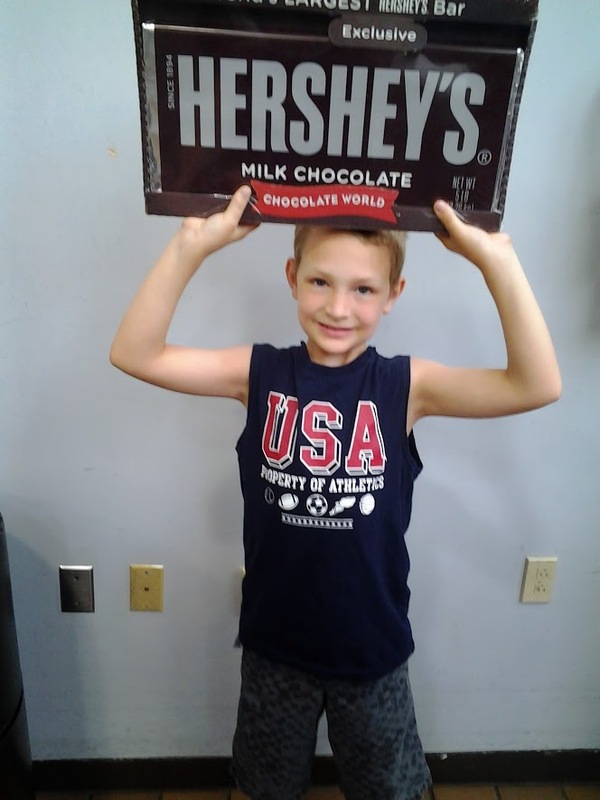 The biggest chocolate bar we've ever seen! We can’t go through summer without visiting Hershey once or twice. We don’t always do the chocolate tour, but we do end up doing it a few times a year because those singing cows never get old! This time around, we found the chocolate bar that I think would defeat all of us! 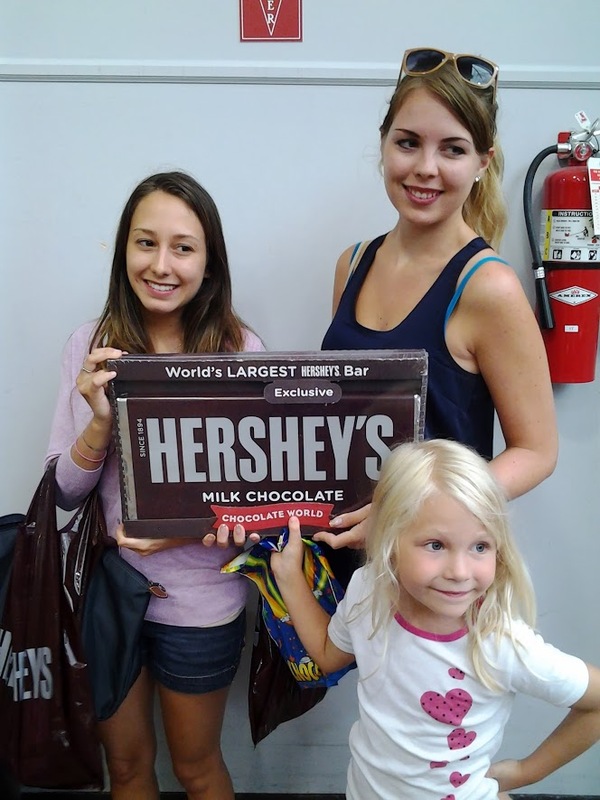 Have you been to Hershey,PA? If so, what is your favorite thing to do? So big that it takes three people to hold it up! Just kidding!